Fans of McLaren Automotive and LEGO® now have the opportunity to see the full-size LEGO McLaren 720S on display at the Petersen Automotive Museum in Los Angeles. The 1:1 scale model was completed with help by museum visitors, who placed the final orange bricks on the LEGO® McLaren 720S on Saturday, June 2nd. The full-size model will be on display at the Petersen through August 19, as part of an interactive exhibit. 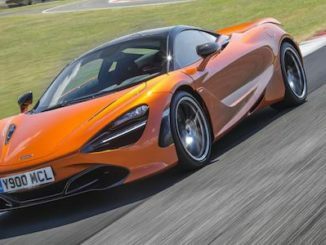 The LEGO McLaren 720S is made up of more than 280,000 LEGO bricks, weighing in at 3,200lbs, compared to the road-going 720S’s dry weight of 2,828lbs. In order to produce such an accurate representation of the second-generation of McLaren Super Series, McLaren Automotive worked closely with the only UK certified LEGO® professional builders, providing in-depth vehicle CAD data so that the model could be fully realized. The model was built up around a steel frame, with a team of six working at one time for over 2,000 hours to build the car by hand. In comparison, a real-world production 720S takes around 12 working days in the McLaren Production Centre to assemble. Also featured on the LEGO 720S build is the all-new Pirelli P Zero Corsa tires used in its road-going equivalent, complete with silver ‘Pirelli Colour Edition’ graphics. The LEGO McLaren 720S will be on display through August 19th on the second floor of the Petersen Automotive Museum. LEGO and McLaren Automotive fans will be able to customize their own mini LEGO® Speed Champions McLaren on an interactive iPad app next to the car. The customization app will offer the choice to add racing stripes, flames, checkered flags, license plates, backgrounds, and also add their name with an option to print a custom sticker of the car they have designed. The Petersen’s Discovery Center located near the full-scale car will host daily access to race ramps and build tables for museum attendees who want to build their own LEGO Speed Champions race cars. 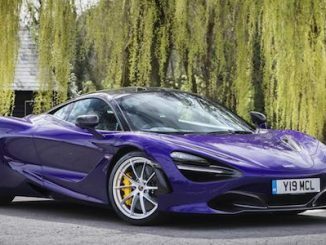 The McLaren 720S is available to order pre-assembled with a starting MRSP of $284,745. Smaller fans of the brand might be more interested in the 75880 LEGO Speed Champions McLaren 720S miniature set, available for a fraction of the price. Note: Press release courtesy of McLaren Automotive.